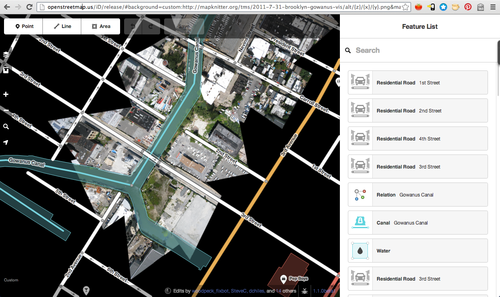 It's easy to add your MapKnitter exported map as a background layer when editing OpenStreetMap. 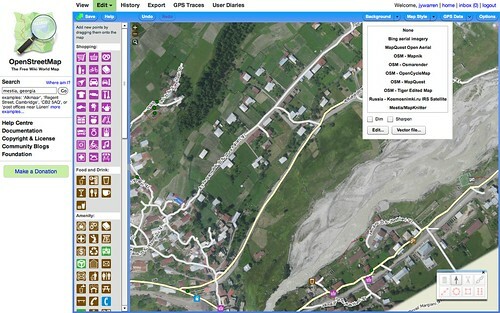 This wiki page explains how to connect to Potlatch 2 and iD editor. 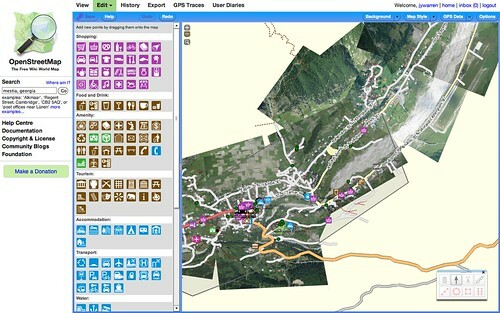 This slide show from State of the Map US 2013 may help illustrates these workflows: http://www.slideshare.net/LizBarry/2013-0609-sotmussf There is also a case study of an earlier method at the bottom of this wiki page. 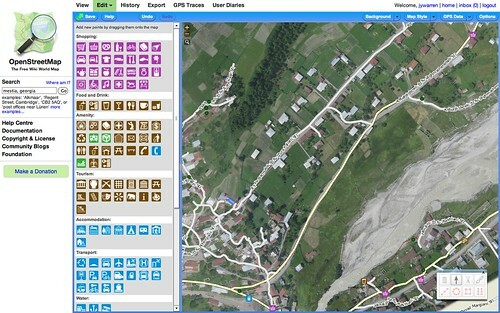 Note: this is only available for maps which have been released under open licenses, such as CC-BY or public domain. 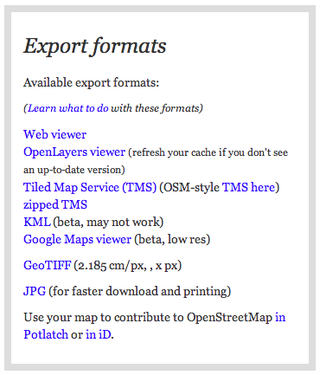 In Mapknitter.org, there is a "deep link" underneath the Export formats area so you can click "Use your map to contribute to OpenStreetMap in iD". 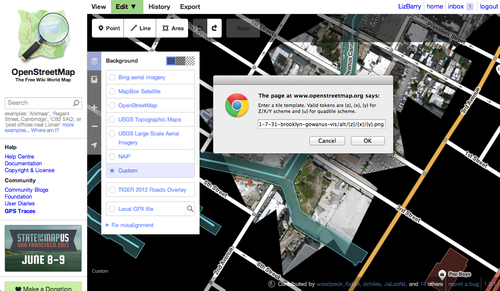 This will open the iD editor hosted on openstreetmap.us. 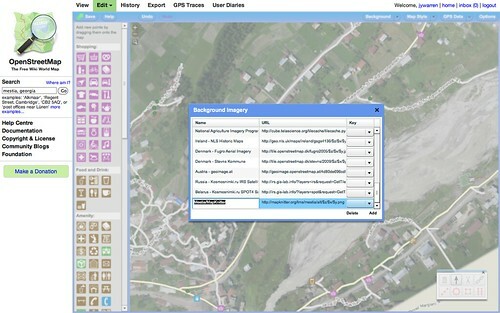 In this example I'm using a map of Mestia, a city in the Svaneti region of Georgia.